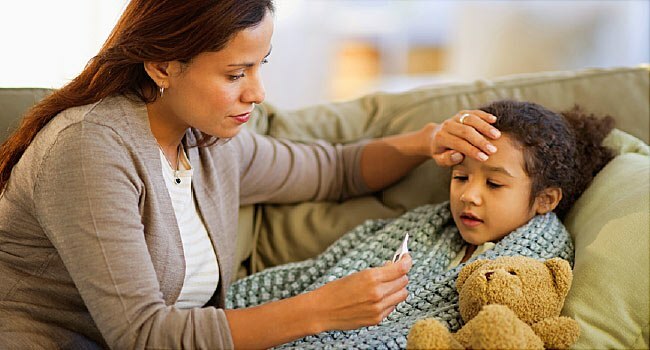 We are in the thick of influenza season now, and so it’s natural that if you hear your child start coughing, you wonder: could this be the flu? The flu is different from the common cold, but it’s not always easy to tell them apart, especially at the beginning. 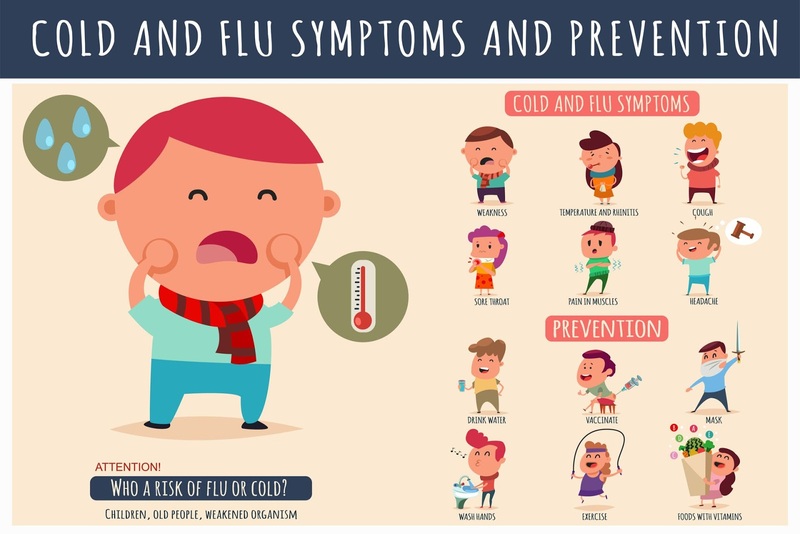 The flu usually comes on suddenly, and its symptoms can include fever, runny nose, cough, sore throat, headache, muscle aches, feeling tired, and generally just feeling rotten. Some people have vomiting and/or diarrhea, too. Not everyone has all these symptoms, and the illness can range from mild to severe. 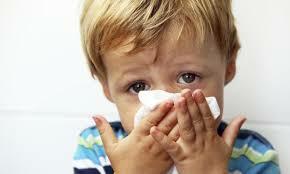 So what do you do if you think your child might have the flu? Stock up on supplies ! fluids to keep your child hydrated, such as clear juices, broth, oral rehydration solution (for infants), and popsicles (which are great for sore throats, and eating them is the same as drinking). If you don’t have a refillable water bottle (one with a straw is great if kids are lying down), get one of those too. simple foods like noodle soups, rice, crackers, bread for toast. AMERICAN ROAD RADIO : THE MAIN ROAD TO BLUES AND ROCK ! Turn off or at least limit the screens, as they can keep children awake when their body needs them to sleep. Keep rooms darkened, and limit activity. If they aren’t sleeping, quiet things like reading (or reading to them), drawing, card games, etc. are best. When children are fighting the flu, the most important thing is that they stay hydrated. They need a bit of sugar and salt too, which is why juices and broths are good choices. If they only want water, give them some crackers to get the sugar and salt — but don’t worry too much if they don’t want to eat more than that. They will eat more when they feel better. anything that seems strange or worries you (I always respect a parent’s “Spidey sense”). be thoughtful about physical contact. Some degree of contact and snuggling is part of parenthood, but siblings may want to keep a bit of distance, and you can always blow kisses and do pretend hugs instead of the real thing. Remember, too, that it’s never too late to get a flu shot if you haven’t already. To learn more about the flu and what to do, visit flu.gov.